Grenada was represented at the annual State of the Industry Conference (SOTIC) held in St Thomas, US Virgin Islands from 17-19 September. 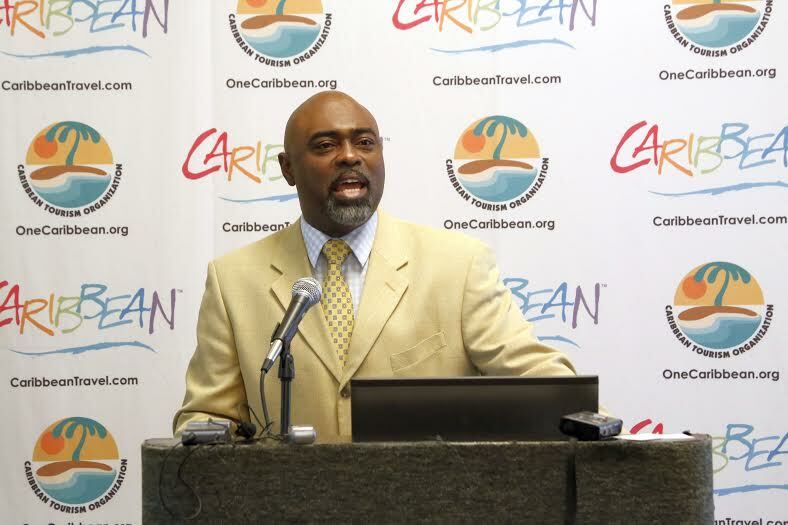 On the first day of the SOTIC, Chief Executive Officer of the Grenada Tourism Authority (GTA), Rudy Grant, delivered a 20 minute destination briefing to more than 30 regional and international journalists. This was Grenada’s first representation in SOTIC since the establishment of the Grenada Tourism Authority and the destination re-branding to Pure Grenada – The Spice of the Caribbean. “Grenada engages in sustainable tourism development. We aim to develop the tourism sector in a sustainable manner, which preserves the culture and environment of our tri-island state,” stated Grant. Grant brought focus to the major niche markets of Grenada’s tourism product by opening with a vivid 2 minute destination video. The CEO stressed how niche markets of dive, yachting, cruise, romance, and soft adventure and their marketing, have proven to be the cause of Grenada’s remarkable 18.59% growth in stay over visitor arrivals for the first half of 2014. He also gave credit to the presence and marketing might of Sandals LaSource Grenada. He mentioned the equal importance of the smaller niche markets such as sports tourism and agro-tourism in attracting enthusiasts. The hosting of cricket, CPL T20 and the Bangladesh Tour of the West Indies in 2014, six local regattas, drag racing and billfish tournaments positions Grenada as the perfect sporting paradise. The first Grenada’s Chocolate Festival held this August, celebrated the processing of cocoa and the production of chocolate proved to entice lovers of fine cuisine. The media were very interested in learning the roles of the new Grenada Tourism Authority, the quest for increased airlift to the country, and the growth in visitor arrival statistics.